Wimbledon in south west London is known worldwide as being the home of lawn tennis and the eponymously named Lawn Tennis Championship staged at its All England Lawn Tennis and Croquet Club. Wimbledon is also home to an iconic greyhound racing stadium. Easily reached by London underground to Wimbledon and Wimbledon Park tube stations, Wimbledon has a selection of venues with private dining rooms for events. 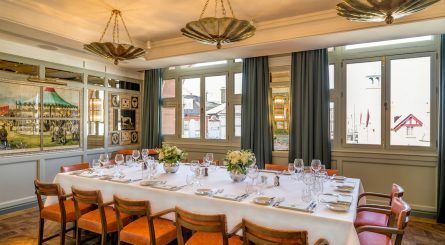 The Danby Room at The Ivy Café Wimbledon seats up to 20 guests for private parties and celebrations, including weddings and birthdays.